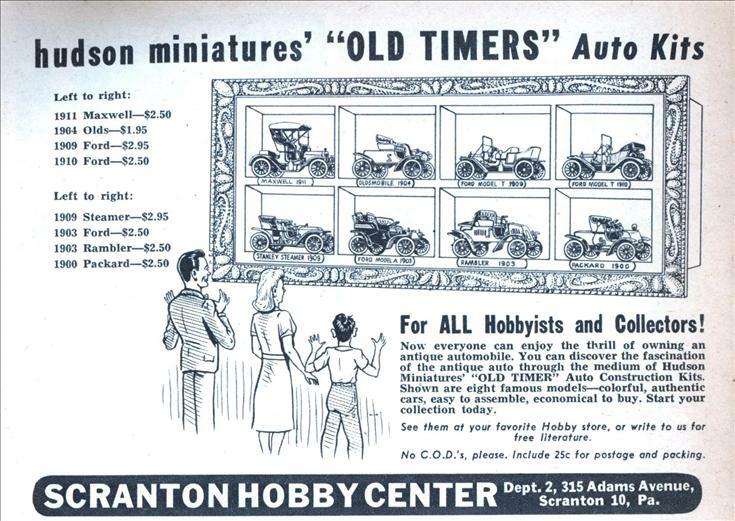 They moved to a new location, but Scranton Hobby Center is still around. For ALL Hobbyists and Collectors! Now everyone can enjoy the thrill of owning an antique automobile. 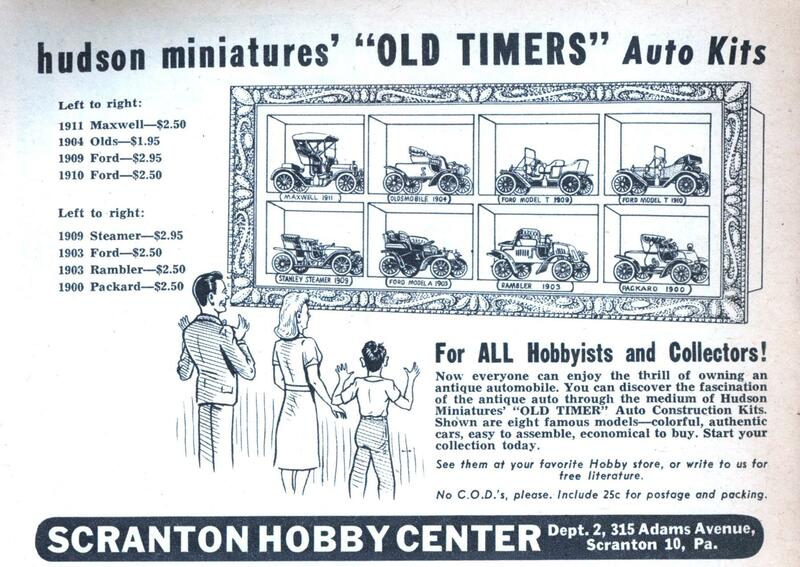 You can discover the fascination of the antique auto through the medium of Hudson Miniatures’ “OLD TIMER” Auto Construction Kits. 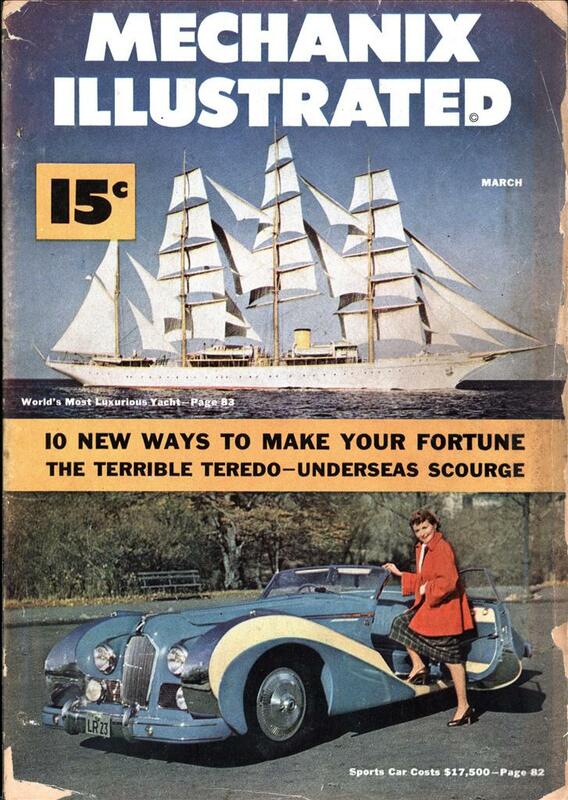 Shown are eight famous models—colorful, authentic cars, easy to assemble, economical to buy. Start your collection today. See them at your favorite Hobby store, or write to us for tree literature. No C.O.D.’s, please. Include 25c tor postage and packing. Dept. 2, 315 Adams Avenue, Scranton 10, Pa. I think it’s one of these kits that Joseph Cotten is building in “Niagara” – despite being married to Marilyn Monroe. It’s a neat way of showing there’s something seriously wrong in their marriage.